Welcome to France's westernmost city! We are here to help you discover our beautiful region, listen to your requirements and cater for your every need. 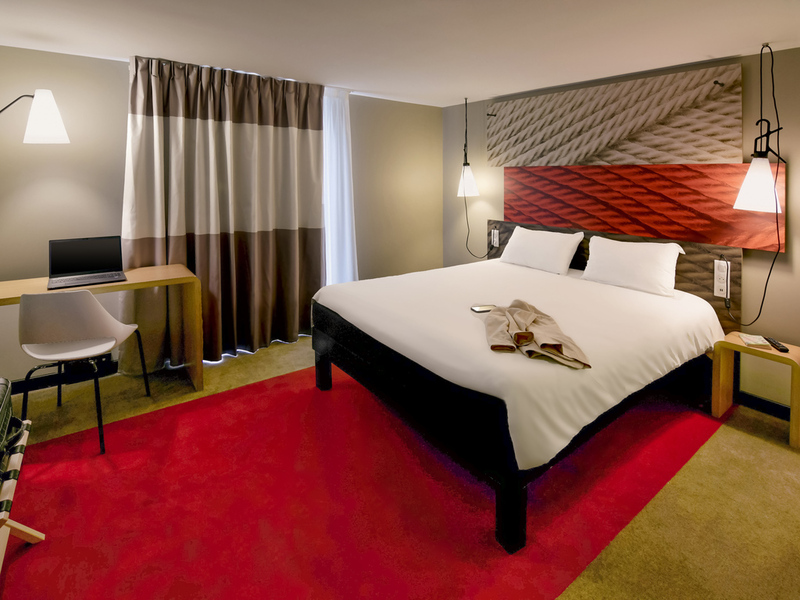 The ibis Brest Kergaradec Aeroport hotel is at the entrance to the city, on the route to the islands of Finistère, the Côte des Légendes, and the Pays des Abers. The airport is only 4 km away. It has 54 refurbished rooms available for booking, a meeting a rea with one meeting room, free private parking, a bar open 24/24 with a terrace and a restaurant serving traditional cuisine. Guests on a business trips will appreciate the Wifi wireless broadband Internet access. Near Brest airport, Océanopolis (3.1 miles), Penfeld exhibition center (3.1 miles) and beaches. Ideally located for a family dinner or business meal in Brest. We also take group bookings. For hotel guests, the overnight stay package enables you to book an all-inclusive package. Open to all, the bar at the ibis Brest Kergaradec Aéroport hotel restaurant welcomes guests throughout the day, whether you are meeting someone, watching a match or simply enjoying a moment of relaxation. Magazines and online press are available.